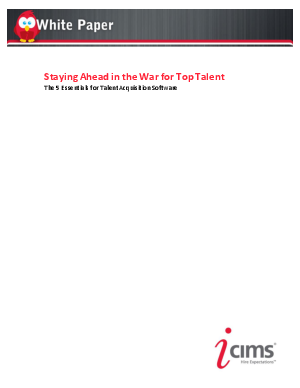 Growing organizations have different hiring needs than companies in low growth mode. Companies that plan to grow must consider their recruitment technology and how it will impact their ability to scale. When businesses start to expand, they are often required to change many of their recruiting and talent acquisition practices. Typically, emerging companies find themselves unprepared when it comes to increasing workforce changes. The solution: Implementing Talent Acquisition Software to streamline all hiring needs.